I don’t know how Mom did it all those years, as a full-time working mother of 5 children (one boy and four girls). 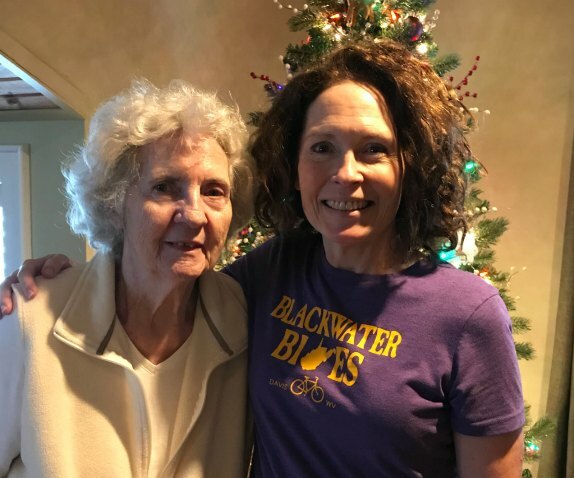 She sewed clothing for herself and her four daughters, attended all our events, and managed to bake over 80 dozen Christmas cookies every year. Of all the cookies she made, my favorite has been the “Pineapple-Raisin Cookie Squares”. Mom and I got together to bake a batch. To give you a nutshell description of the process: you mix together the raisins and pineapple the night before, and then make the dough. Spread half the dough onto a cookie sheet, cover it with the (now fermented) raisins and pineapples, and cover with the remaining dough, and bake. The night before mix raisins and pineapple, cover and refrigerate. The next morning, cook the mixture with sugar and cornstarch until thickened. Mix dry ingredients; cut in the shortening to consistency of coarse meal. Mix eggs into milk; stir into dough, and mix. Roll out half the dough into a cookie sheet. Spread fruit mixture on it. Roll out remaining dough into 4 (or more) sections and piece together on top of filling, completely covering it. Brush with 2T milk; sprinkle with cinnamon and sugar mixture. Bake 45 minutes. Cool 10 minutes, and cut into squares. You’ll notice in the top picture that our dough was too thick to completely cover the filling. We had an incomplete recipe and didn’t add the milk to the dough—we only added the eggs. So we went with a makeshift basket-weave top. It still tasted good, though!